Made with 100% combed and ring spun cotton for a super soft feel, this custom long sleeve t-shirt features a 1x1 rib knit collar, taped neck and shoulders and is side seamed. This ultra soft custom t-shirt is so comfortable, you won’t want to take it off. Get noticed with this “rack it up Danny G!” Long Sleeve t-shirt. Made with 100% deluxe combed ring spun cotton, this super-soft, lightweight and slim fitting long sleeve t-shirt is North American made and printed in Canada. 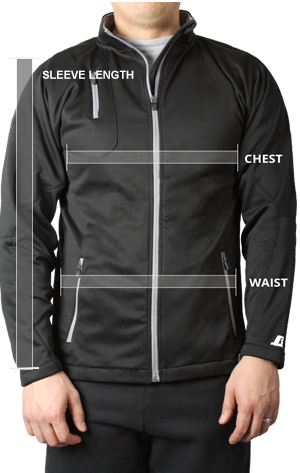 Chest: Measure under arms all the way around the sweatshirt. Be sure to keep tape level and comfortably loose. Sleeve Centre Back: Measure length from centre back neck, over point of shoulder to wrist.